Heck's Angels, the fifth novel in the SPECTERS ANONYMOUS funny fantasy series, is now available at your neighborhood Kindle and nearest Amazon.Com. The sixth novel in the series, Spook Noir, is scheduled for publication before Halloween 2018. 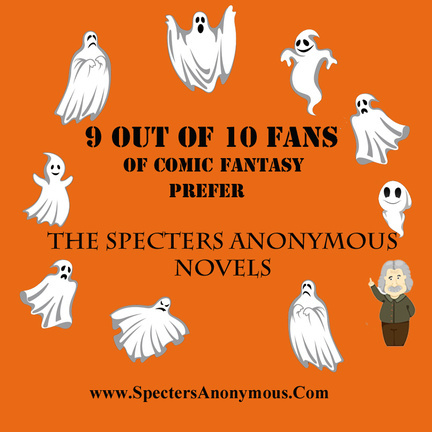 SPECTERS ANONYMOUS (the program) is the 12-step plan that helps the afterlife's newest arrivals learn to kick "the sunshine habit," avoid Tossers (a.k.a., poltergeists) and appreciate the role of chocolate in the second plane of existence.